In a big development,Chemicals Business of Uflex Limited has become India’s First NABL accredited entity in the field of combined manufacturing of Packaging Inks and Lamination Adhesives.National Accreditation Board for Testing and Calibration Laboratories (NABL) is a Constituent Board of Quality Council of India. NABL has been established with the objective of providing Government, Industry Associations and Industry in general with a scheme of Conformity Assessment Body’s accreditation which involves third-party assessment of the technical competence of testing including medical and calibration laboratories, proficiency testing providers and reference material producers. 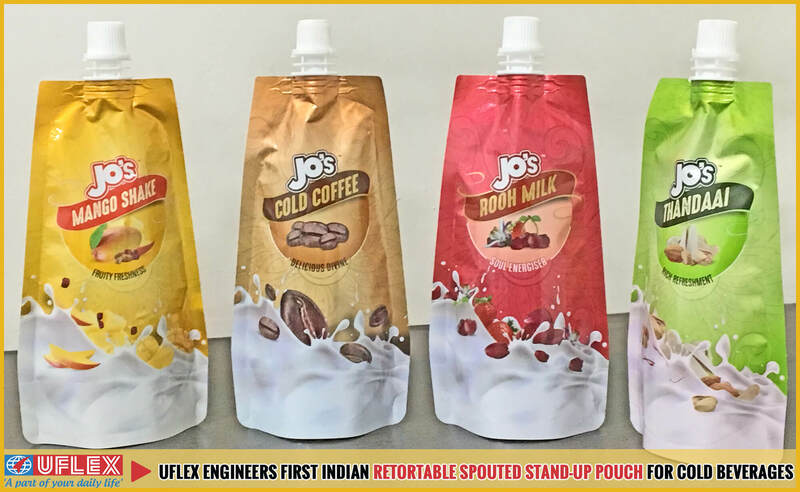 Some three months ago Jo’s- a leading snacks brand in North India that also happens to be an existing client of Uflex approached the company for developing flexible packaging solution for its new range of cold beverages. The brief from the client was crystal clear. They wanted an optimized packaging solution with ashelf life of 6 months for the cold beverages at room temperature doing away with the cold chain. Taking this up as a challenge the team at Uflex engineered first Indianretortable spouted bottom gusseted stand-up pouch. “We have fitted the pouch with a Tamper Locked special grade PP spout to withstand the retort application without any degeneration and leakage at the seams. This is the first time that a PP spout has been used in a retortable pouch in India. The cap is inter-locked with the shoulder of the spout and this lock is broken when the cap is opened for the first time, ensuring an absolutely tamper-proof pouch. Spout fixing is done on high-endimported machines to ensure leak-proof seal integrity. We have imparted a profile shape to bring about the much needed product differentiation at the point of sale. This is indeed a flexi-bottle if one would like to term it for convenience. You can well imagine the reduction at source that this packaging paves way for when compared to rigid PET bottles for similar usage and application. Upholding the ethos of flexible packaging this packaging solution clearly uses much less energy throughout its life-cycle i.e. manufacturing; transportation and disposal,”explained Mr. Arun Anand. 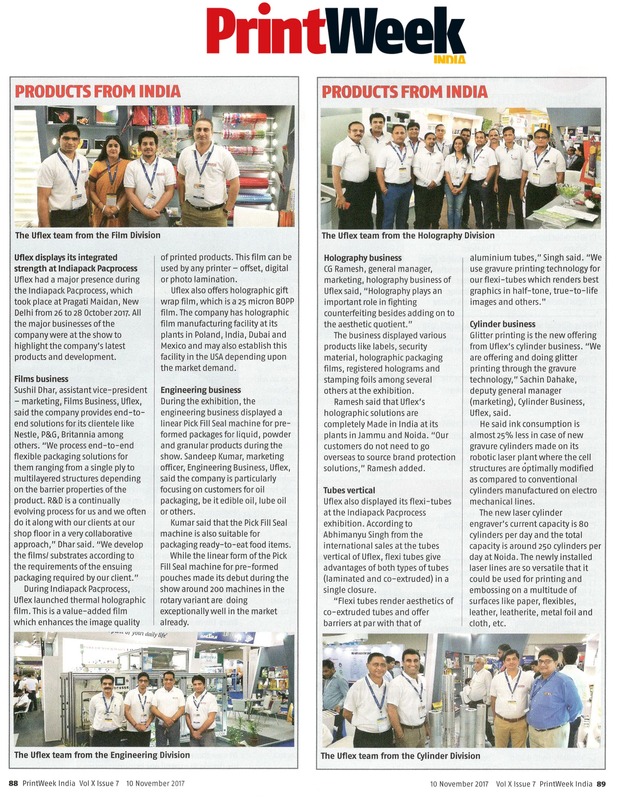 Indian Film Giant Continues Expansion – Mr. Anantshree Chaturvedi of Flex Films International, Global Film Manufacturing Arm of Uflex Limited in conversation with Labels and Labeling Magazine. Oct – Nov 2017 Edition Now on Stands!